Set the Bleed to 1/8" (0.125") on all four side of the artwork. This will allow an extra 1/8" (0.125") on each side of the card, which will be trimmed after the printing is complete. Please see more information about bleeds below. Once you have finished designing your layout, you are ready to save and submit your file to Lickity Split. 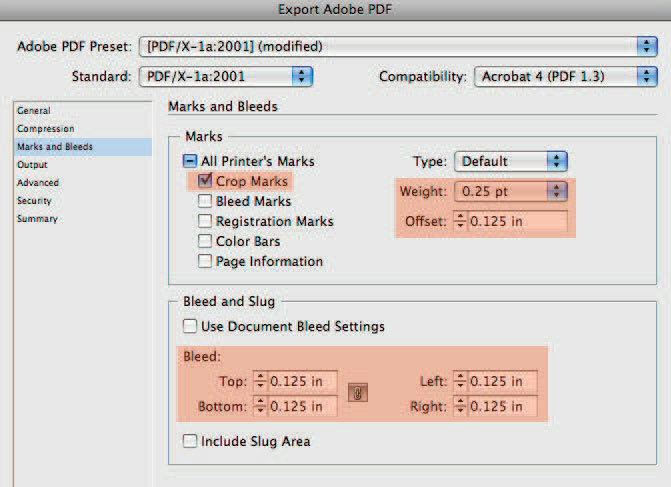 Please see instructions below on how to export a PDF from Adobe InDesign. We recommend PDF format over any other, simply because it is the PREFERRED and MOST RELIABLE format of printers world-wide. The reason why we prefer PDF files is because these are the most reliable format for transporting from computer to computer, and are the preferred format among printers worldwide. If you submit perfect PDFs to Lickity Split, your order will typically move through our production process without any hang-ups. This reduces errors relating to linking of fonts and graphics, as well as often reducing the overall file size that you would upload to your printer. In the Export window, give your file an appropriate name. 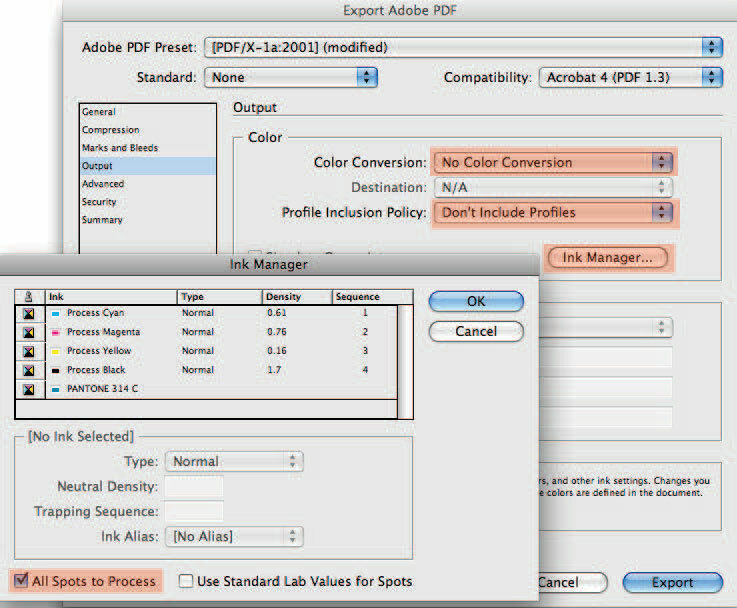 In the Export Adobe PDF window, the Adobe PDF Preset will be set at [PDF/X-1a:2001]. 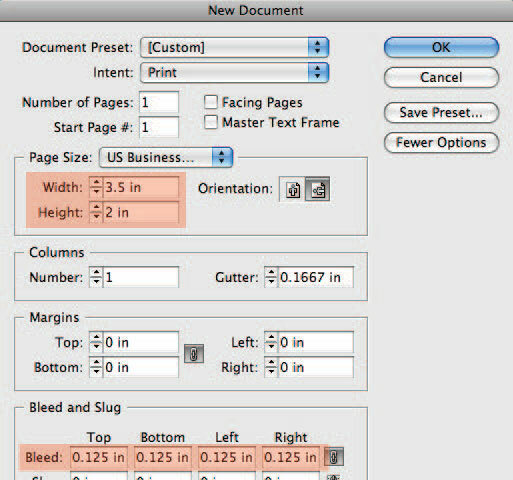 In the General setting, you’ll want to print All the pages unless you have unneeded blanks and leave Spreads unchecked. Set the Weight of the Marks to .25 pt and the Offset to .125"
Don’t Include Profile for the Profile Inclusion Policy. Click the Ink Manager button to open its window. Check the All Spots to Process box to convert any possible Spot colors used in the document to 4 color process and then click OK. 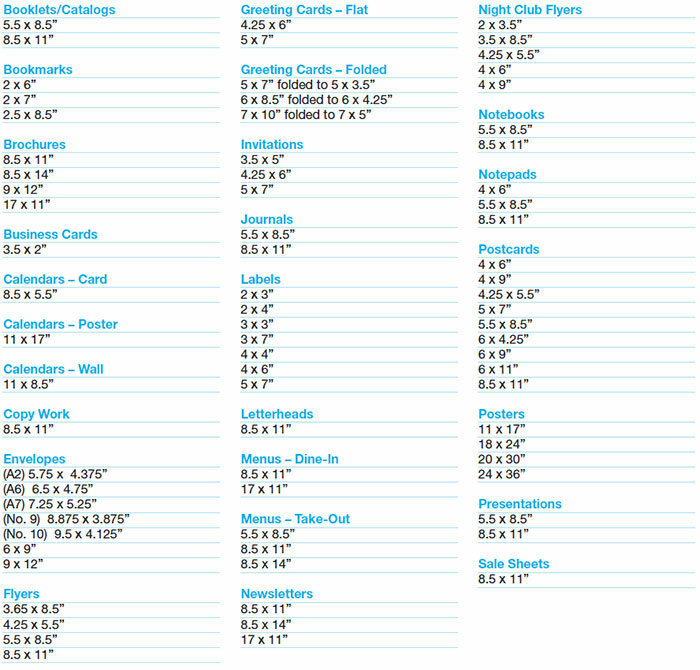 Note: If you have placed a custom order using Spot colors, then you will want to leave those specified colors remaining. Click on the Save Preset button at the bottom left. In the Save Preset window, give your Preset a new name such as My Print Setting or Lickity Split and click the OK button. 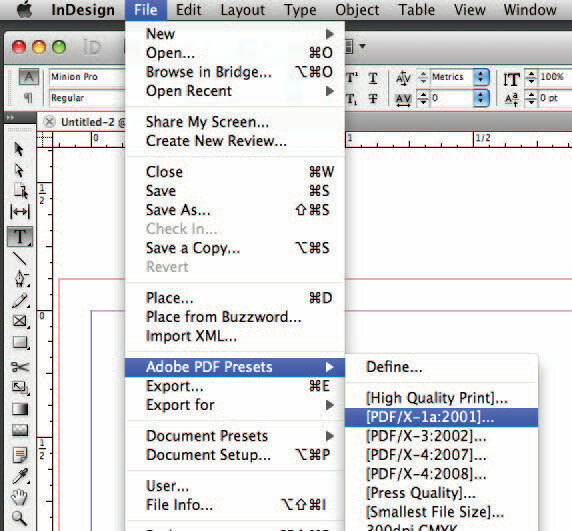 You will now have a new preset in your available Adobe PDF Preset dropdown in InDesign. 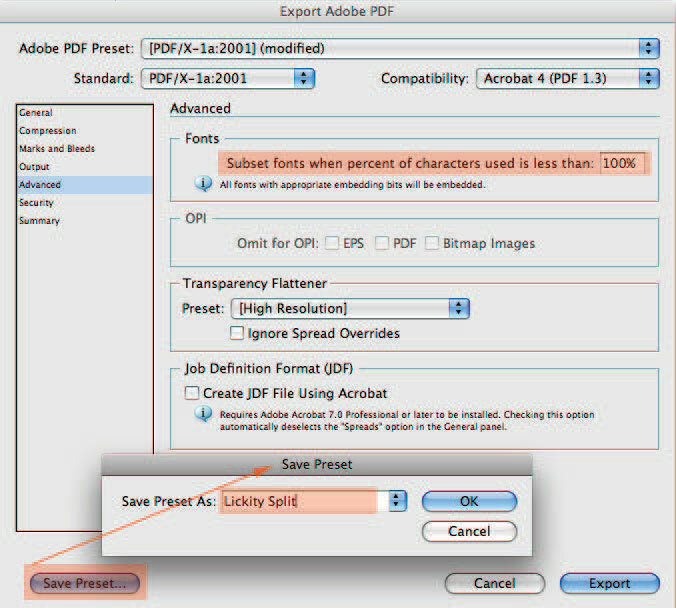 Click Export to save the current file as a PDF.